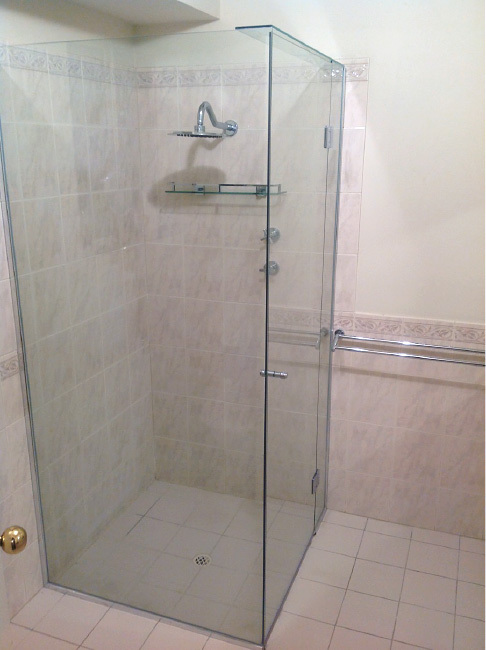 Tips For Cleaning Your Adelaide Home’s Shower Screen! Why A Frameless Shower Screen Is The Ultimate Way To Go! Why Frameless Shower Screens Are Simply The Best! Well not anymore!! Jim’s Glass has developed the Frameless Hybrid, a semi-frameless shower screen that delivers a fully frameless look for a fraction of the cost! The Frameless Hybrid uses channel on the wall and floor of the fixed panels only. This means that the door is fully frameless as there is no channel across the top of the whole screen. This gives the “illusion” of being fully frameless. Made in Accordance with Australian Standards, the shower screen is backed by Jim’s Lifetime Guarantee. Using only the highest quality “guaranteed to close on centre” hinges, your frameless will impress your family, friends and your budget! Call today for a free measure & quote.